At Clean Keepers, we understand gross filth cleanup and that not all homes occupied by people suffering from the hoarding condition are full of gross filth. Gross filth, hoarders, clutter cleaning are terms common in our field and we use these terms in our descriptions of hoarding clutter cleaning service in order for hoarders and their loved ones to find the information and help they need. 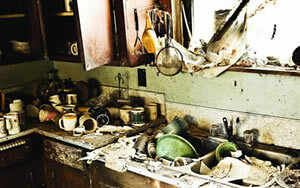 Gross filth can be found in homes where hoarders have lost control. Many times trash, garbage, blood, urine, feces, and vomit are common results in a hoarder’s home. In more serious cases, dead rodents, insects and even owners pets have been found during a gross filth cleanup project. If you or someone you know needs our help, call today at 239-368-1219.